Our Going Green journey is one that I love sharing on this space. We’re not perfect (who is??) so our foray into the hippie world of hemp and henna is slow and unlikely to ever become our new norm, BUT we do like to make eco-friendly choices wherever we can and one area we can do this is in our choices of products we use around the home. We always aim to choose eco-friendly, biodegradable cleaning products for our own benefit as well as that of Mother Nature. Another major area to make this environmentally friendly change is in our choice of personal products such as toothpaste, shampoo, deodorant etc etc. If you’re worried about the chemicals that are contained within cleaning products that you use in your home, you most certainly need to be concerned with what products you’re putting on your body!! 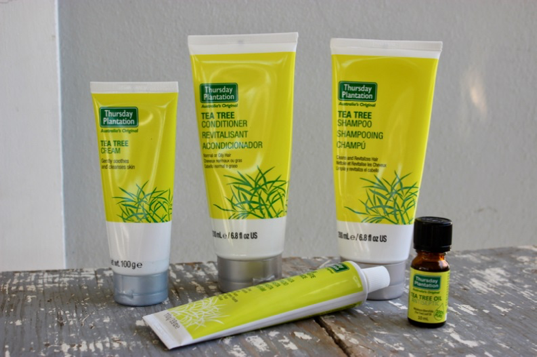 The products we tried from the Thursday Plantation range are the Flouride Free Tea Tree Toothpaste, the Tea Tree Shampoo and Tea Tree Conditioner for Normal/ Oily Hair, the Tea Tree Cream, and, or course, the original Tea Tree Oil – the most pure one in the world! 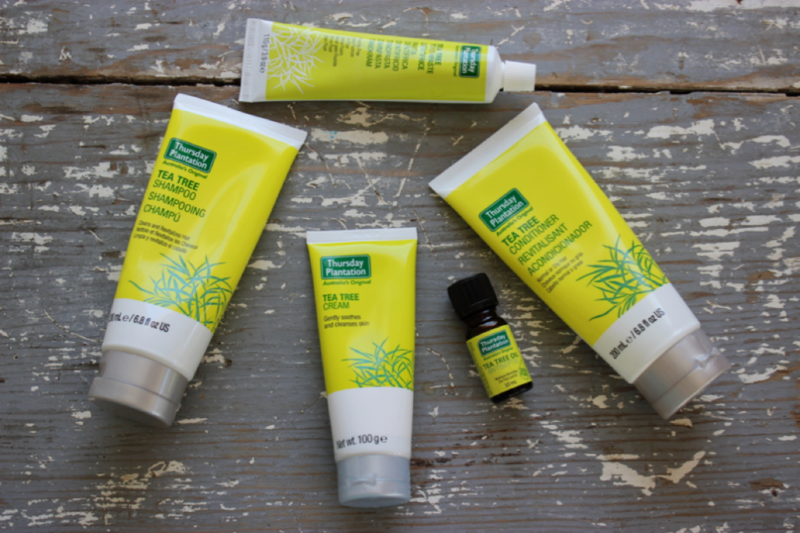 Tea Tree is a natural essential oil from Australia that has anti-bacterial, antiseptic and antifungal properties. It can be used topically for skin hygiene and protection and to address bacterial infections or fungal conditions of the skin. It helps to clean and protect the skin against pollution and bacteria by reinforcing the skin’s natural barrier. Tea Tree oil is well tolerated by healthy skin tissue and does not inhibit normal cell growth. Acne – tea tree oil helps the immune system to kill the bacteria causing acne and reduces the inflammation. Add a few drops of oil to water and mix. Dip a cotton wool in the water & oil mixture wipe face with the cotton wool. You can also add a few drops of oil to your face wash, mix properly and use as normal. Alternatively, use Thursday Plantation Daily Face Wash twice a day. 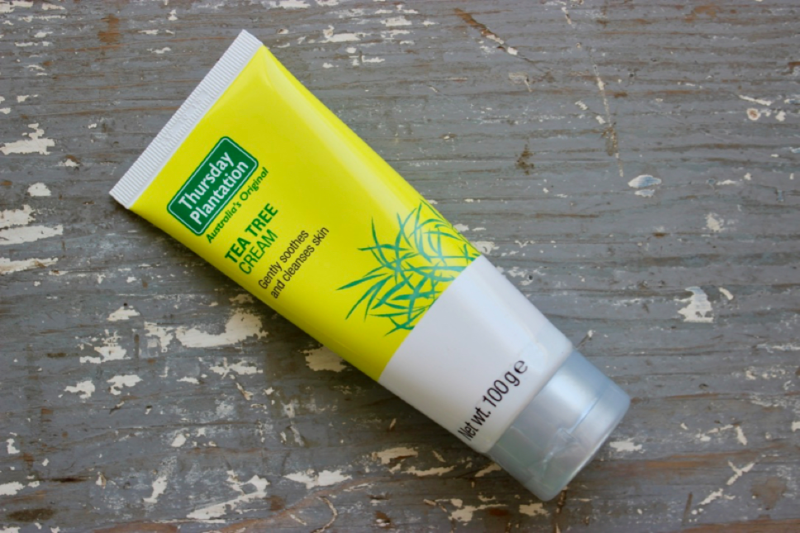 It’s useful to note that tea tree oil has demonstrated to be as effective as Benzoyl peroxide in the treatment of mild to moderate acne! Bad breath – add 3 drops of tea tree oil to a cup of warm water and use the solution as a mouthwash two to three times daily. Always spit it out. Do not swallow it. 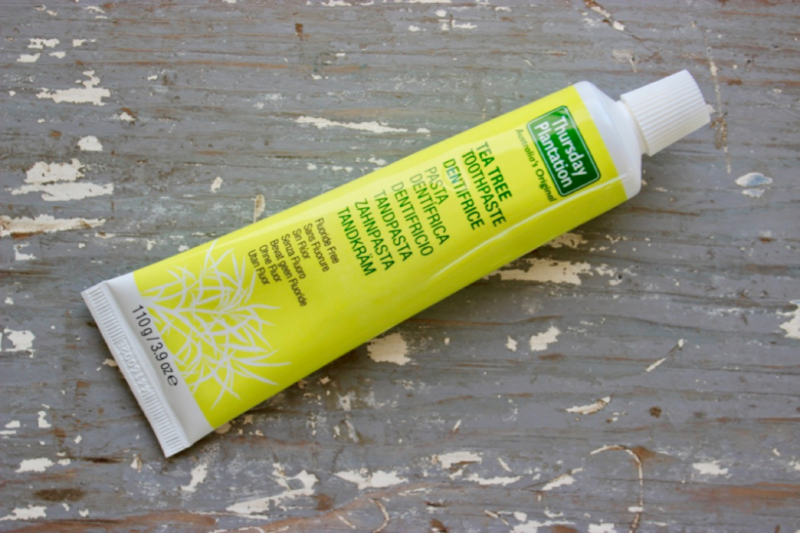 Alternatively you may also use Thursday Plantation Tea Tree Toothpaste. Cold sores – as soon as you feel the tingle of a cold sore about to erupt, place a drop of oil onto a cotton bud and dab the affected area 3-5 times per day. Congestion – sprinkle two to three drops in a bowl of steaming water and inhale the steam. Alternatively you can also add two to three drops of oil to your humidifier to relieve a tight chest. Cuts – clean the wound then apply oil to a cotton bud or cotton wool and dab affected area. Dandruff – add a few drops of tea tree oil to your shampoo and wash as per normal. Alternatively try Thursday Plantation Tea Tree Shampoo and Conditioner. Ear Ache – mix 1 drop of tea tree oil with 1 tsp. olive oil, drop mixture into the ear and then remove by tilting head. Fungal Infections – if you struggle with toenail fungus and Athlete’s foot apply a drop of oil directly to affected area twice daily. For larger affected areas dilute a few drops of oil in water and spray onto affected area twice daily or use in your foot spa or a tub of warm water to soak your tired feet – they deserve a break anyway! Infections – apply using a cotton ball to help heal skin infections naturally. Insect bites – apply a drop of oil to a cotton bud and rub over the affected area to fight infection, soothe the sting and relieve itching. Lice – prevents lice naturally, just add a few drops to your shampoo. Minor Burns – immediately apply cold or ice water to reduce pain and swelling. Add a few drops of oil to your cream, mix and apply. Alternatively, use Thursday Plantation Cream to soothe and aid healing. Pimples – apply a drop of oil directly onto pimple two to three times a day. Alternatively, use Thursday Plantation Daily Face Wash twice a day. Skin tags – ensure skin is clean and dry then pour some tea tree oil onto a cotton ball and rub the skin tag. Tape the tea tree soaked cotton ball over the skin tag with medical tape if you desire as this will quicken the removal of the skin tag. Repeat these processes several times a day until the skin tag loosens and falls off on its own. Sore throat – add a couple of tea tree oil drops to water, mix and gargle it then spit it out. Do not swallow the mixture with tea tree oil! Rashes – relieves itchiness and helps reduce rashes just add a few drops of oil to your bath water. Alternatively use Thursday Plantation Cream to soothe and aid healing. Thrush – add a few drops of tea tree oil to your bath water. Warts – place a drop of this antiviral on the wart twice a day and cover with a bandage. Tea tree oil is powerful stuff, so unless you’re using the oil on the bottom of your feet (where skin is thicker), dilute with water or apply with a cotton ball. Household cleaner – Tea tree oil has powerful antimicrobial properties and can kill off bad bacteria in your home. To make homemade a tea tree oil cleanser, mix 1 – 2 tsp of tea tree oil with water, vinegar and lemon essential oil in a 1l spray bottle, then use it on your counter tops, kitchen appliances, shower, toilet and sinks. Alternatively fill a bucket with water and add a few drops of oil to the bucket. Mix properly and use as normal. Pet health – add a few drops in your pets’ beds to keep the fleas away. If they are struggling with ticks apply a drop of oil directly onto tick/flea and it will unlatch. Add a few drops of oil to dog/cat/animal shampoo and wash as normal. Freshen laundry – add a few drops in your washing machine to scent your clothes or put a few drops in the dryer with your clothes to remove mildew. Kill mould – use tea tree oil in a diffuser to clear the mould in your home. You can also spray the tea tree oil cleaner (above) onto shower curtains, in your washing machine and dishwasher or even in the toilet to kill off mould. If you find mould elsewhere like on a bag or clothes, mix apple cider vinegar and tea tree oil and spray onto the mould, leave for 1 hour, then use a scrub brush to remove the debris and place outside to sun-dry. Distilled from specially selected Melaleuca alternifolia leaves, a plant native to the coastal regions of northern New South Wales and south eastern Queensland in Australia, the Thursday Plantation Tea Tree Oil is 100% pure and 100% natural! It’s the original product that can be used in all the ways I’ve listed above. We’ve been using it as a topical application for the odd pimple, to apply to childhood scrapes and cuts (we have MANY of these) and I’ve also started using in in my aromatherapy diffuser to kill off some rouge mould I discovered during a cupboard clearout. After researching for this very article I’ve used it as a cleaning product on a suitcase, pair of shoes and a bag that I discovered had some mould! A bonus is that this product is free from SLS, parabens, synthetics and fillers and is safe for vegans to use as it contains no animal products and has not been tested on animals either! Made with natural oils and plant extracts, this gentle shampoo promises to cleanse hair and to promote shiny, healthy looking hair. I found that it did cleanse my hair well and left my usually sensitive scalp tingling with the Tea Tree properties – it’s known to fight dandruff and promote a healthy scalp which I’m all for! The Tea Tree Shampoo also contains Chamomilla Recutita (Matricaria) Flower Extract, which has a calming and soothing effect on scalp, Aloe Vera and Jojoba to hydrate and condition the scalp as well as revitalising lime and lavender oils that are both beneficial for healthy scalp. 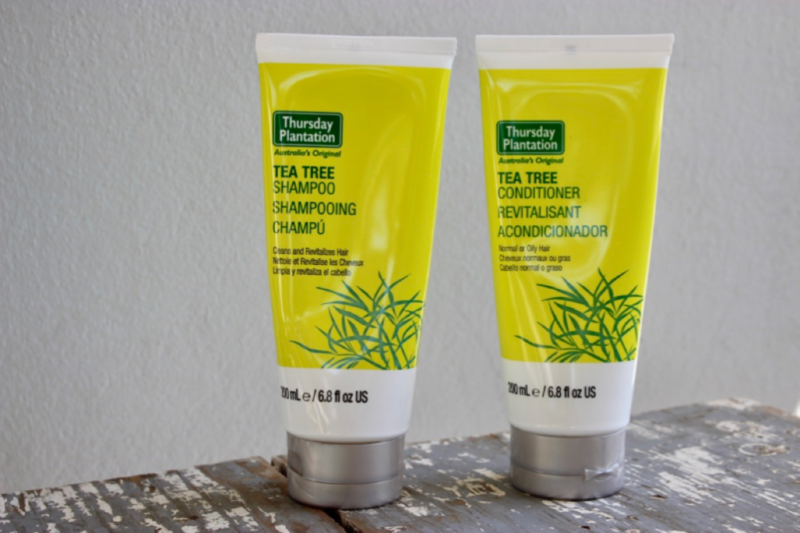 The Thursday Plantation Tea Tree Conditioner is also made with natural ingredients and I found that it gently detangled my mop and made it more manageable. It contains Aloe Vera, Jojoba and Olive Oil to deeply condition the hair as well as essential oils to revitalise hair and give it a lustre. 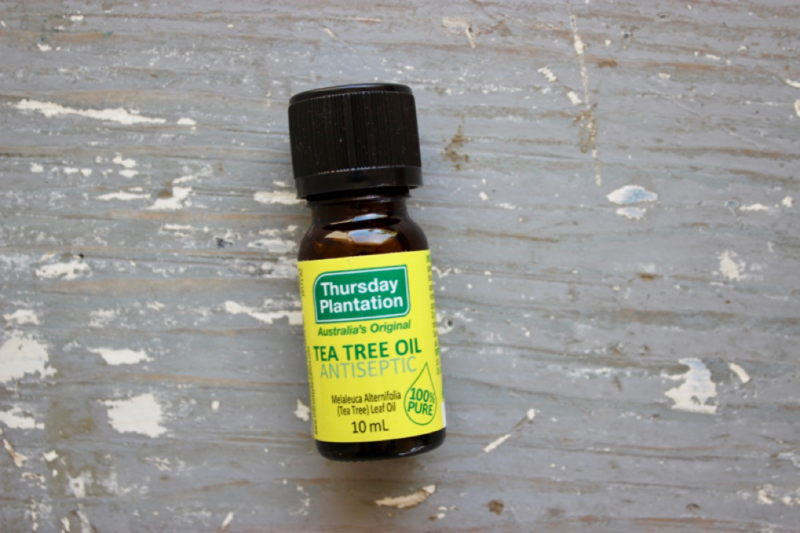 Thursday Plantation Cream captures the antibacterial power of Tea Tree Oil to treat dry or inflamed skin conditions in an easy-to-use form and is especially great to use on kids. It gently soothes and relieves minor skin irritations and can also be applied to minor wounds, cuts, scratches and abrasions. In the past week alone we’ve used it on scraped knees, devil thorn wounds and a nasty incident with a cut from a piece of glass on the bottom of my daughters foot. 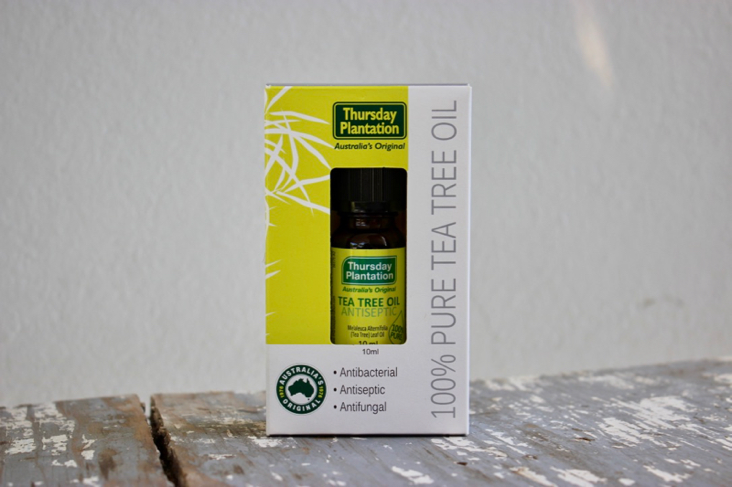 For those who struggle with sensitive skin you’ll be pleased to know that Thursday Plantation tea tree has a lower potential for skin sensitisation due to the lower para-cymene content of Thursday Plantation Tea Tree Oil. This has been my favourite discovery of all the Thursday Plantation products I tried. As you know I often write about toothpaste (weird I know!) 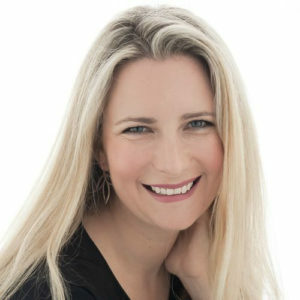 but it’s a product that I use twice daily and it goes inside my body (as well as my kids) so I’m quite fussy about this! 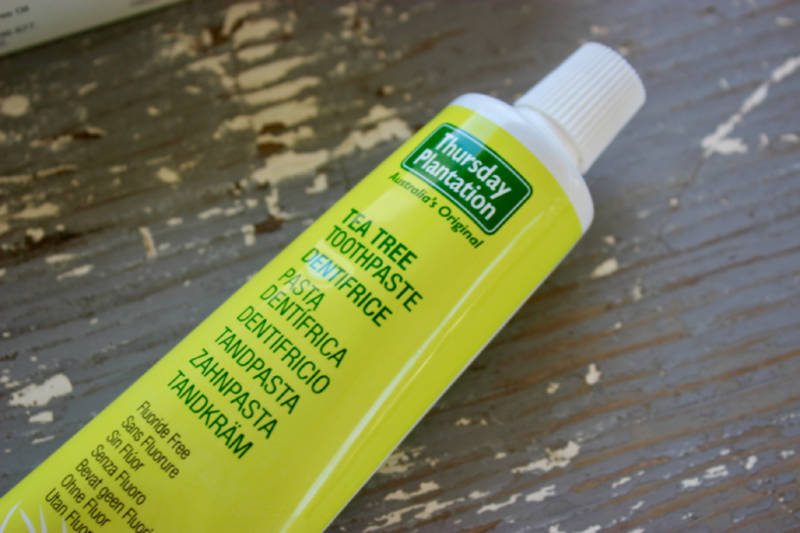 The Thursday Plantation Tea Tree Toothpaste is fluoride and sugar free, plus as it contains Tea Tree it also has unique antibacterial properties to help maintain healthy gums and teeth by controlling plaque and tartar build up! Again it is free from synthetic parabens, petrochemicals, propylene glycol, lauryl sulphates, polysorbates, synthetic fragrances, synthetic colours and animal derived ingredients. Yippee! So which of these Thursday Plantation products are you most keen to add to your shopping basket this month? Tea Tree oil is ideal for use all skin types as it is free from harsh chemicals, however a skin patch test prior to use is recommended if concerned about sensitivity or using the product for the first time. To perform a skin patch test, place 1 drop on the arm, if any irritation, redness or sensitivity occurs, discontinue use. However please note that it is not recommended to use the Tea Tree oil on children under 2 years old, or to use undiluted Tea Tree oil on children under 12 years old. All other Thursday Plantation products are safe to use on children.